Abby Kimball has just moved to New England with her boyfriend and is trying to settle in, but the experience is proving to be quite unsettling, to say the least. 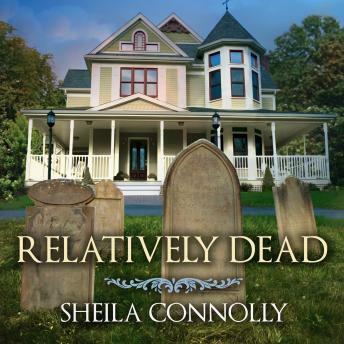 While on a tour of local historic homes, Abby witnesses a family scene that leaves her gasping for breath-because the family has been dead for nearly a century. Another haunting episode follows, and another, until it seems to Abby that everything she touches is drawing her in, calling to her from the past. Abby would doubt her sanity if it weren't for Ned Newhall, the kind and knowledgeable guide on that disturbing house tour. Rather than telling her she's hallucinating, Ned takes an interest in Abby's strange encounters and encourages her to figure out what's going on, starting with investigating the story of the family she saw . . . and exploring her own past. But as Abby begins to piece together a history that's as moving as it is shocking and unravels a long-ago mystery that nearly tore her family apart, she also begins to suspect that Ned's got secrets of his own, and that his interest may be driven as much by a taste for romance as a love for history.